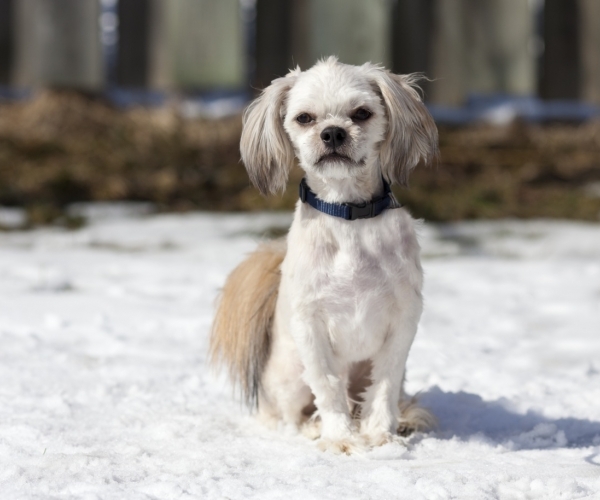 Meet Pekoe, aka “The Dogfather.” Pekoe is a puppy mill survivor and while the life of a male mill dog may not be as harsh as that of a female dog who is forced to continiously give birth, it is certainly far from the life he deserves. Like all mill dogs he has never experienced all that a pet should – a safe and healthy home, security and most of all, love. Because he was rescued from a puppy mill he is not housetrained. There will also be an adjustment period that can take as little as a few weeks or as long as a couple of months. But with love, patience and postive reinforcement he can and will thrive. For more information on Pekoe, or to see a listing of other dogs in need of a loving home, please visit Animatch.